NORWAY — Oak Crest Golf Course, home of last month’s 92nd annual UP Ladies Golf Association Championships, hosts another major next week. 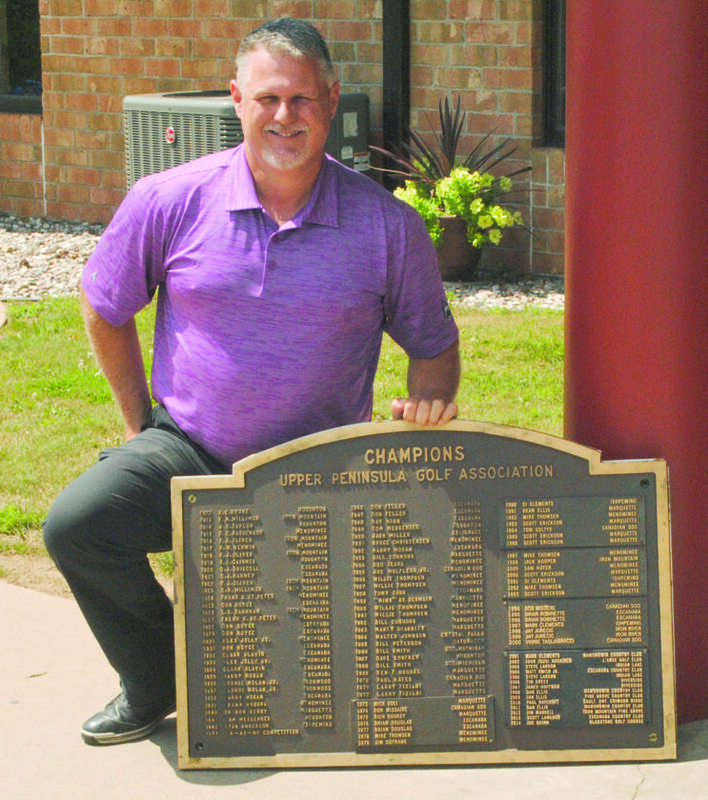 The 104th UP Golf Association Men’s Championships tees off Tuesday and runs through Friday. Tournament director Kevin Londo reports 101 golfers have registered. “We’re going to be in good shape and looking forward to the tournament,” said Londo, admitting to some anxiety when only 80-some golfers had signed up as of last week. While the ladies needed a day or two to gauge slow greens, that won’t be a problem for the men. Course superintendent Mike Drotzur will have faster greens. “We have been working on speeding up our greens,” said Londo, director of golf and operations at Oak Crest. “We’ve been top-dressing like crazy, so they will be quicker than they were for the ladies. Pin placements drew the ire of UP senior golfers in the 2016 at Oak Crest. That wasn’t an issue in the UP ladies tournament as Londo and others mapped fair but challenging spots. Longtime Oak Crest member and UP semifinalist Kathy Gagnon said the pins were positioned “in places I’ve never seen before,” adding she had no problem with where they were and the course was in great shape. Like the ladies tournament, men can also receive an advance copy of the pin placement schedule. Golfers for the opening days will play a course measuring between 5,900 and 6,100 yards. After two rounds, championship through third flight will play the blues while other flights will tee off from the whites. Weather report calls for a slight chance of rain on Tuesday with temperatures in the low 80s for the week. The ladies had to deal with sweltering heat for a couple days with water and ice-soaked towels available on the course. Gunnar Stein of Houghton will return to defend his title but he won’t be able to get in a practice round. He has an exam Monday at Saginaw Valley State University. Stein and Marquette University star Hunter Eichhorn of Carney are among the group with Bryce Douglas and Rob Ryan teeing off at 10:20 a.m. Tuesday. Tournament begins at 8 a.m. Tuesday.